I was quite impressed with this movie/ dvd- great use of films and photos, many of which are previously unreleased, as well as the obvious love and care put into this production. 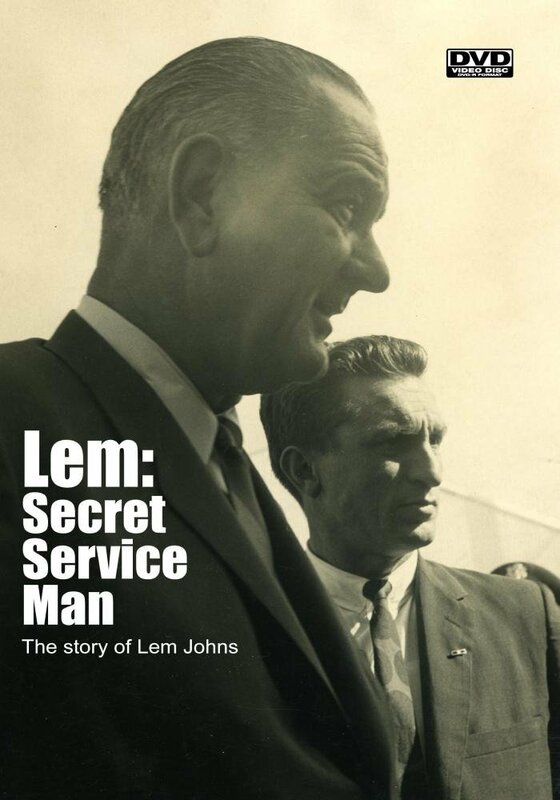 This is an informative, moving tribute to the esteemed former Secret Service agent Thomas L “Lem” Johns. In addition to lengthy, thought-provoking interviews with the man himself, we are also treated to interviews with Lem’s wife of over 65 years, Nita, as well as former agents Joseph Novak and Terry Oden. Known for his presence in Dealey Plaza on 11/22/63 when JFK was assassinated, Johns offers some surprising and interesting revelations about exactly where he thought the shots were coming from that day, as well as the notion that he was allegedly the “agent” of unknown repute on the knoll. In addition, we learn about Lem’s pre-agency career as an Alcohol and Tax (later known as the ATF) agent, as well as his illustrious Secret Service career protecting Ike, Nixon, JFK, and, of course, LBJ. There is much to learn and admire in this entertaining presentation, an obvious labor of love for the producer (s). As well as his own legacy, Lem’s son Jeff served 20 years in the Secret Service and now works for the Department of Homeland Security, while Lem’s grandson Michael has been in the Secret Service for over 15 years now; impressive. I spoke to Lem on the phone in 2004 and I was pleasantly surprised to learn about the living legacy he has bestowed upon the agency. There have been Johns in the Secret Service since the 1950’s! You can do no wrong in purchasing this extremely well done dvd. I am very glad I did! His son, Jeff, was on President Ronald Reagan’s Secret Service detail, and his grandson Michael was on the detail for President George W. Bush and for President Obama until 2010. When Mrs. Johnson died in Texas in July 2007, Mr. Johns represented President George W. Bush in paying respects as she lay in repose. This entry was posted in Uncategorized and tagged LEM JOHNS. Bookmark the permalink.